Tisna in a red corset with an FN HP35 Mk.II aka Browning High Power. The FN FAL or LAR, a semi-auto import of the 50.00 marked “.308 Match”. 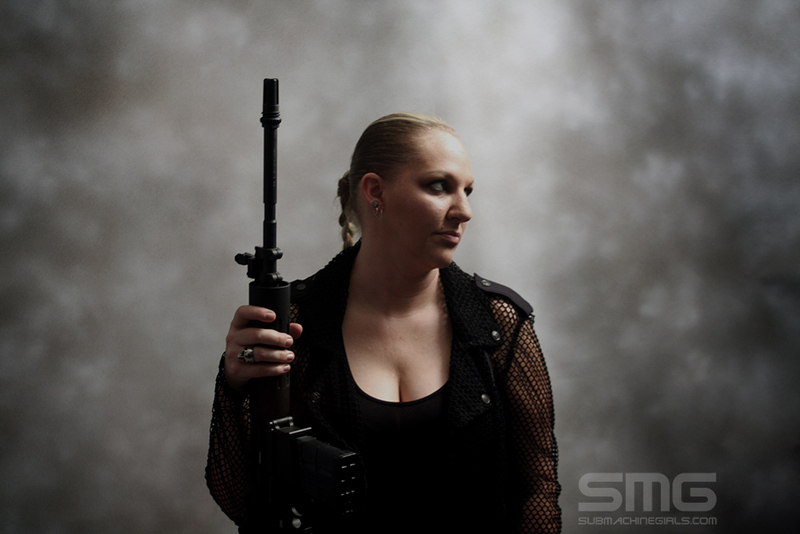 Lindsay with the FN FS2000 CQB bullpup. Photo by Colin MacNeil. Holloway HAC7 in the hands of Lindsay, photo by Colin macNeil.